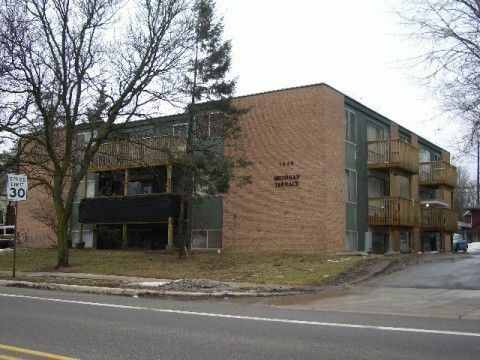 1025 Packard St, Ann Arbor, MI - Campus Management, Inc.
First floor apartment with a spacious living room and sizable eat-in kitchen. The individual bedrooms measure approximately 11'x11' with large windows. This second floor apartment features a ceramic tile bathroom, a large balcony, and a kitchen with plenty of counter top space that is great for cooks. This second floor apartment features a ceramic tile bathroom, a large balcony, and a kitchen with plenty of counter top space that is great for cooks. It also has a dishwasher. First floor apartment can accommodate up to three residents. Some of the apartments have portable dishwashers and microwaves. Second floor apartment with balcony that can accommodate up to three residents. Some of the apartments have portable dishwashers and microwaves. Second floor apartment with balcony can accommodate up to three residents. Some of the apartments have portable dishwashers and microwaves. Third floor apartment with balcony can accommodate up to three residents. Some of the apartments have portable dishwashers and microwaves. Second floor apartment with a spacious living room, a sizable eat-in kitchen, and a large balcony. The individual bedrooms measure approximately 11'x11' with large windows. Third floor apartment with a spacious living room, a sizable eat-in kitchen, and large balcony. The individual bedrooms measure approximately 11'x11' with large windows. Third floor apartment with a spacious living room, a sizable eat-in kitchen, and a large balcony. The individual bedrooms measure approximately 11'x11' with large windows. Comprised of 1, 2, and 3-bedroom apartments, the building is located just 5 blocks from central campus. In addition, this location offers fairly good access to the athletic campus, as well as the Business and Law Schools. Anyone who spends a majority of their time on the south side of central campus and wants their own bedroom will find this building an affordable option! NOTE: When you view floor plans understand that 101,201 and 301 are identical, 202 and 302 are identical, 103,203 and 303 are identical, 104,204 and 304 are identical, 105,205 and 305 are identical.